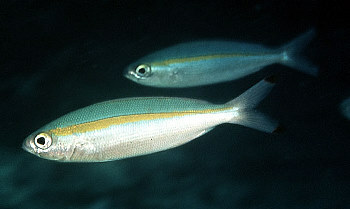 Also known as the Blacktipped fusilier, the Goldband fusilier belongs to the genus Pterocaesio. 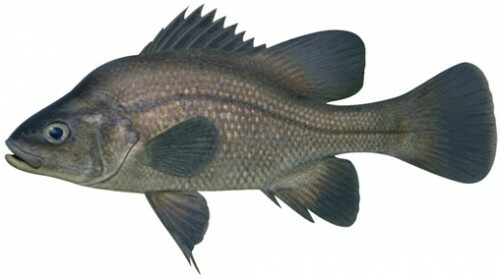 This fish is a forager which can be found in tropical reefs, between the latiitudes of 30°N and 27°S and between the longitudes of 40°E to 157°E. In other words, it can be found around reefs in the west Pacific Ocean, Red Sea, and along the coasts of west India, eastern Australia, and east Africa. These fusiliers grow up to 21 cm. 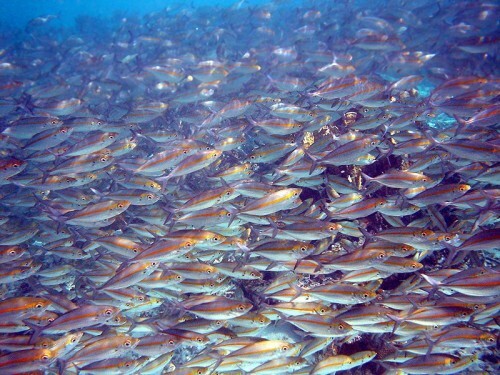 They are not migratory fish, but they can be found moving in schools during the day at depths of between 5 to 35 metres such as in seagrass, coral reefs, outer reef slopes, as well as around pinnacles in deep lagoons. At night time, they take shelter inside the reef. 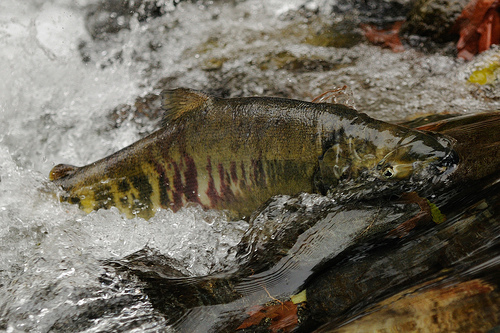 These fish are not suitable for home aquariums as they need unrestricted space. As the name suggests, the Goldband fusiliers has a yellow stripe on each side. These stripes are parallel to each other and are either 1 or 2 scales below the lateral line. Their back is light brown to light blue, and their belly is pink to white. These creatures are highly resilient, and even with a minimal population, it can double within less than 15 months time. Goldband fusiliers are filter feeders and they feed on zooplankton. They are preyed on by coral trout. They are oviparous, which means that they lay small eggs which float around in the water. 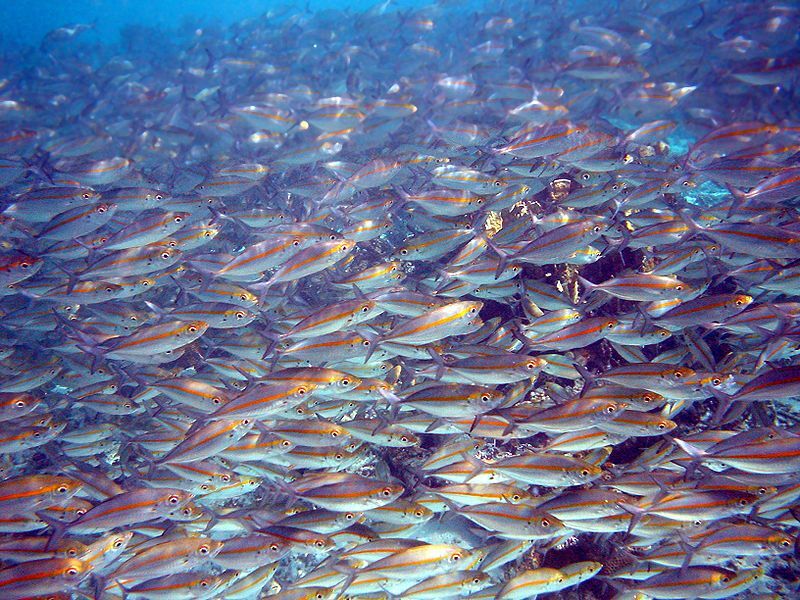 Goldband fusiliers only play a minor role at commercial fisheries. In the Maldives, Laccadives, and the West Pacific, they are used for baitfish for line and pole tuna fisheries. In the Philippines, they are sometimes sold fresh and are caught in either drive-in nets or traps.